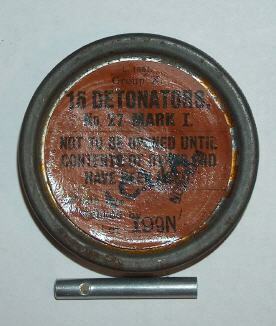 Non-electric detonator , made of aluminium. 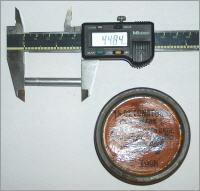 The filling consisted of 9grams A.S.A and Tetryl. 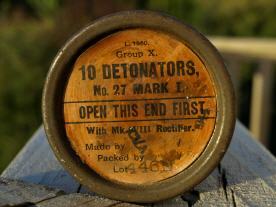 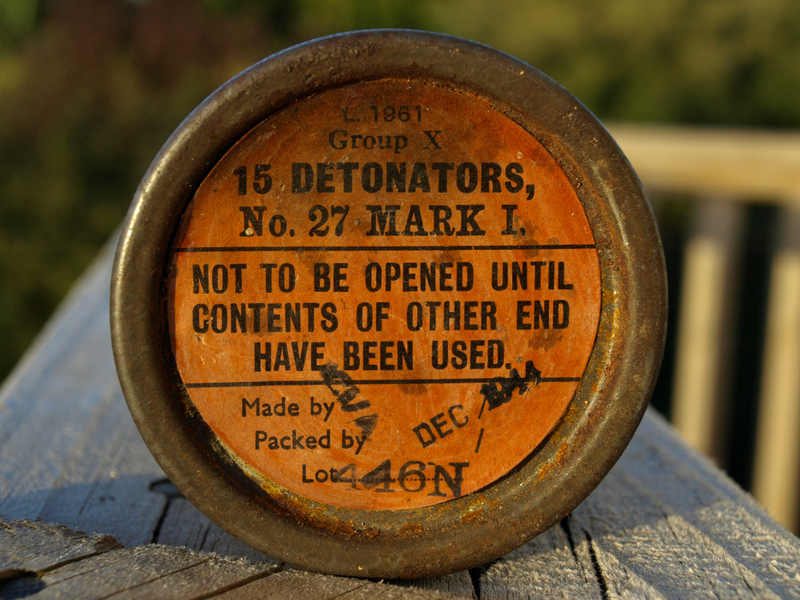 This detonator replaced the No.8. 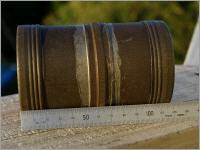 Photo on the right and the two below thanks to Dave Sampson. 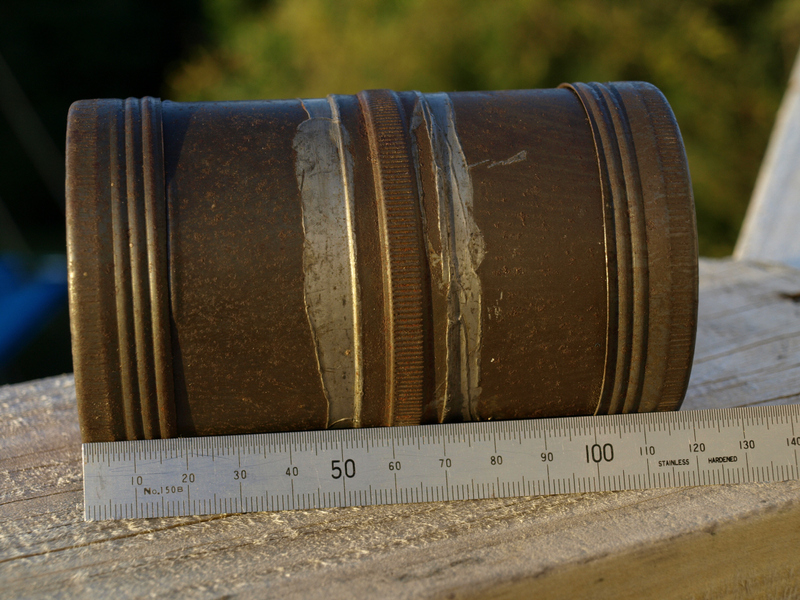 This container consists two halves, shut on both ends by two metal screw lids. 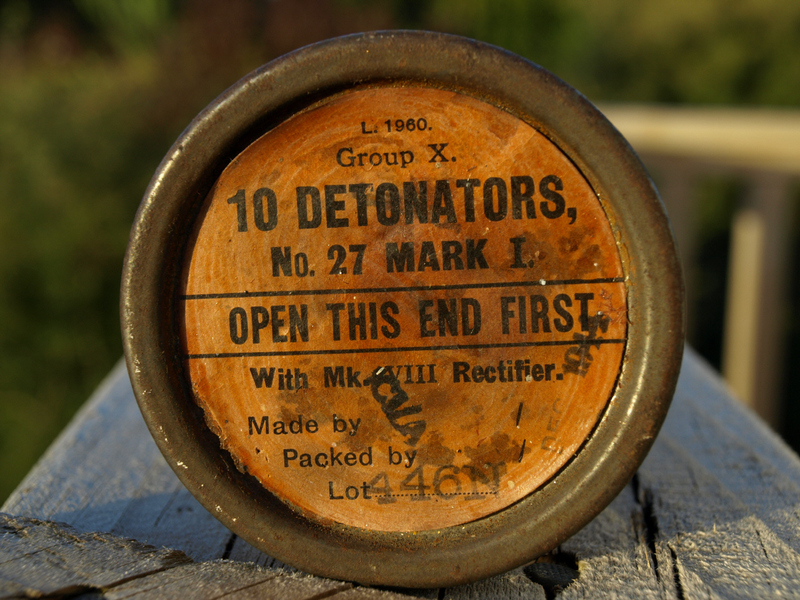 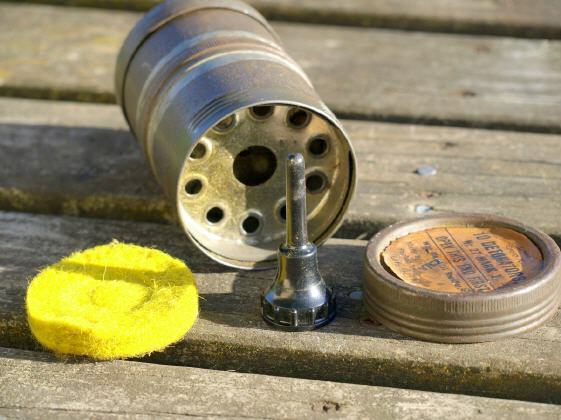 One side fitted 10 detonators and a bakelite rectifier which was used to clear the space for the detonator. 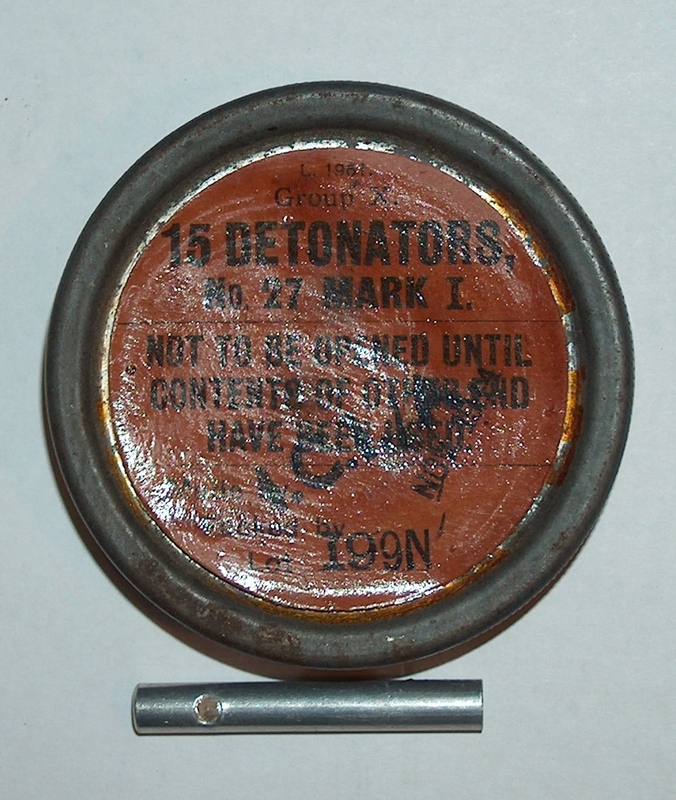 The other half had 15 detonators installed.